Our Caregiver programme builds communities. At PHAKAMISA, God comes first. All workshops are preceded by Devotions, where we share our joys and sorrows with each other and God. 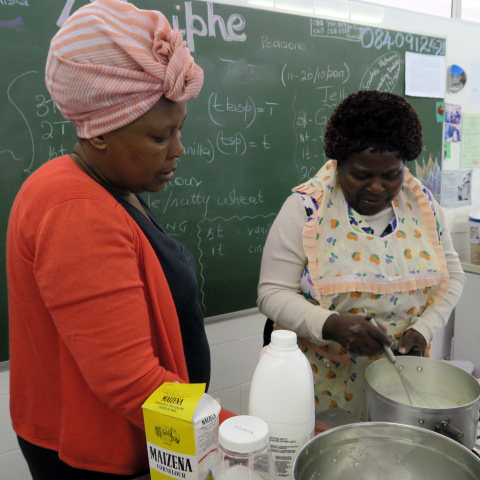 This spiritual and emotional support is a vital component in the holistic approach of PHAKAMISA and is a time for Educare students and Caregiver leaders to come together. 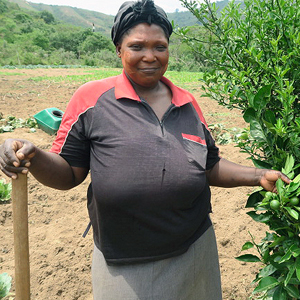 Vegetable gardening is an important and integral part of our Caregiver programme. 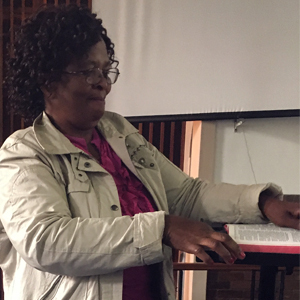 Caregiver leaders receive theory training given by Monitors in the classroom backed by practical demonstration in the PHAKAMISA garden at Pinetown Methodist Church. PHAKAMISA supports 200 vegetable gardens in the communities we serve. Regular visits by our Monitors to these gardens reinforces learning and is an opportunity for them to give helpful advice. Sewing continues to be taught by Alexia, an invaluable workshop. Training includes learning how to sew clothing items, especially school uniforms, and for those who continue on to an advanced level which includes making soft furnishings, it opens up the potential to earn an income from their skill. 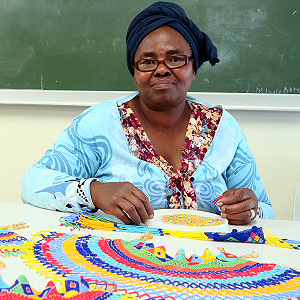 Nellie, a skilled beadworker, trains Caregivers to make traditional Zulu beadwork for ceremonial use. This skill enables Caregivers to produce beadwork which is saleable within their communities and again enables a small income. Our cooking and nutrition trainer Zola, teaches nutritious meals preparation; how to pickle and bottle fruit and vegetables and how to bake. These skills enable Caregivers to feed their extended families in a nutritious manner, develop independence and become economically empowered. 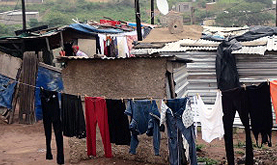 Literacy Classes are one of the workshops offered at Phakamisa. Importantly, literacy continues be taught by our trainers in Caregivers home and this makes a positive impact on their daily lives. 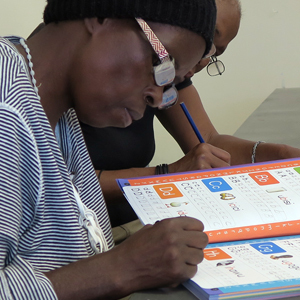 Caregivers with literacy skills can now access better health care, read their children’s school reports and letters – their worlds are opened up. 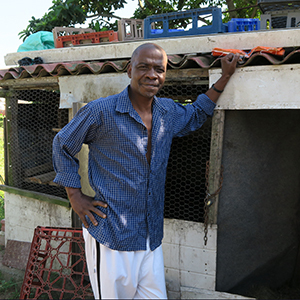 We currently have one group of five men who, with a micro loan from Phakamisa have been enabled to buy and set up the equipment for their first batch of 50 chickens.The group come into Phakamisa every other week for training in cooking, gardening, beadwork. We presently work in a 50km radius of Pinetown. 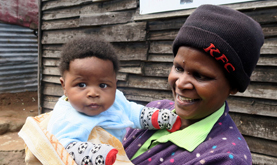 There are 270 PHAKAMISA Caregiver Groups with over 1,700 members supporting over 6,000 orphans. Each group has a leader who attends the training workshops twice a month, to learn a skill to teach her group back home. Skilled trainers and monitors ensure that what is learnt in the workshops is implemented back in the communities, underpinned by emotional and spiritual support and practical resourcing. This leverage principle has enabled the project to impact many individuals and families. 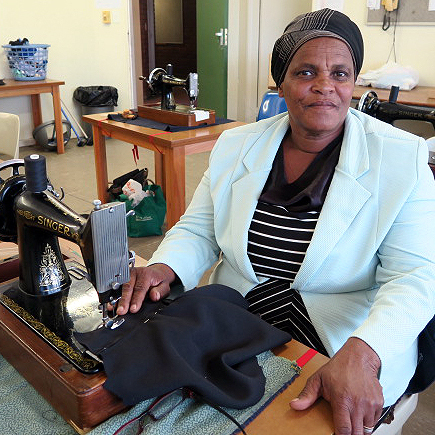 Phakamisa supports 270 Caregiver groups with 1700 members caring for 6000 orphaned or vulnerable children. As well as 200 community and vegetable gardens providing crops for 1000 families.